Given the 15.6” display size of the EliteBook 8560p, it’s obviously not going to qualify as an ultraportable, nor is it a dedicated desktop replacement. Normally, that would make it ideal for the mid-range consumer market, but that wasn’t HP’s goal here. This is a mid-size laptop for people who need a unique combination of portability, functionality and power. As a result, the 8560p is built with an exquisite eye for detail. Most surfaces are gray metallic; dull enough not to show fingerprints readily, but not so dull as to be entirely unfashionable. The big, robust chassis is all hard corners and abrupt edges, providing an industrial feel. Like Lenovo’s ThinkPads, very little about the laptop is just-for-show, but the lighter color choices make this EliteBook look more modern. Functionally, the news only gets better. A tough hinge design keeps the display where you put it through anything less than Armageddon, and there’s even a latch to keep it secure when fully closed. Around the sides you’ll find two USB 2.0 ports, two USB 3.0 ports, a eSATA/USB 2.0 combo port, Ethernet, VGA, DisplayPort, and individual headphone/mic jacks. The only thing you might miss is HDMI, which HP considers a more consumer-oriented display port and thus not as suitable to the enterprise environment. The larger display makes for extra space available on this laptop’s chassis that is used by providing a full-size keyboard with a number pad. Unlike many laptops of this size that include number pads, this one does not use under-sized keys, and there’s a small but definite gap between the keyboard and number pad. Confusion between the two when touch-typing is rare as a result. Actual key feel is good, but not great. This is one area that Lenovo still has HP beat. Part of the problem is the keys themselves, which are exceptionally flat and square, as is today’s popular style. My fingers felt as if they did not feel enough definition between the keys, and sometimes seemed to slip or slide across them, lacking grip. At this point, however, we’re talking about fine-grain complaints that only typists like myself care about. If you’ve never had a serious conversation with someone about the pros and cons of scissors-switch vs. rubber membrane keyboard design, you’ll likely find this one to be exceptional. Navigation comes courtesy of one of the widest touchpads I’ve ever seen on a laptop, or a trackpointer in the center of the keyboard. Normally I enjoy the trackpointer, but in this case the huge touchpad was hard to ignore. Part of this is because the trackpointer itself seemed stiffer than I like, but part of it was also due to just how smooth and enjoyable the touchpad surface is. Better still, multi-touch gestures work like a charm, and there are individual left/right buttons both above and below. These buttons are large, offer significant travel, and are generally great to use. HP’s 1600×900 anti-glare display on the 8560p makes a good first impression. Normally, reducing glare means the use of a matte coating that saps all contrast, giving no reflections but a very underwhelming, grainy picture. Instead of going that route, HP uses a very low-gloss coat that doesn’t show reflections in any significant way, but also also doesn’t ruin contrast. Black levels are nice as well, but there is a trade-off here coming by the way of dithering. This is the term used to describe a method through which a variety of pixels of various slightly different colors are used to approximate a solid color, with the idea being that the eye will smooth it all out when viewed. In this case, there seems to be a lot of dithering going on. I noticed speckled patterns in numerous black level test images, and also noticed it in the darker areas of the gradient banding test images. What this means is that anyone who wants to do image editing on this laptop could be in for some trouble, because dark portions of images may not display correctly. However, the effect is subtle, so viewing images under normal circumstances – or watching movies – does not result in any noticeable display quality issue. Beats Audio has been HP’s big thing lately, but it hasn’t made its way over to this particular laptop. As a result, audio quality is underwhelming. It’s neither loud nor clear, which means that watching video or listening to podcasts can be a chore if the laptop isn’t kept within a few feet. Those looking to listen to music will absolutely need to buy a pair of external speakers or headphones. When sitting idle, there’s little to complain about here. A large chassis means significant room for cooling, and even with a powerful processor like the dual-core i7. There’s not more than a dull whoosh to be heard, nor does the machine ever become too warm on the bottom for use on your lap. That’s a somewhat rare trait among powerful laptops. Start putting this laptop to work, however, and things change. Fan noise becomes loud, the area around the main vent (on the left) can become very warm, and this warmth can start to creep up to the palmrest and keyboard areas. Still, while lap use is out of the question in such a scenario, desktop use remained comfortable as long as I didn’t rest my hand near the fan vent. Weighing in at six pounds, and with a chassis thickness of 1.3 inches, it’s clear that this laptop was not designed with portability as a primary concern. Although it is rugged enough to survive rough treatment in a backpack or piece of carry-on luggage, many bags will just barely fit this laptop in their padded laptop compartments. Only people who travel occasionally will find this laptop suitable. Battery life was average, at four hours and fifteen minutes of light usage including document editing and web surfing with the laptop in its best power-saving profile. Remember, this is a large and powerful laptop, so such endurance is perfectly reasonable on a stock battery. Speaking of which, HP offers extended battery options including one that connects to the bottom of the laptop, adding significant bulk but also significant life. To be honest, however, anyone who is going to spend that much time away from a power socket would most likely want to buy a smaller, less powerful laptop in the first place. Usually, pre-installed software is slapped with nasty names like bloatware and considered a drag rather than a benefit. It’s different with the EliteBook 8560p, however. This laptop includes a full suite of useful software including HP Protect Tools, which assist in enterprise laptop security. Protect Tools covers several elements of security such as drive encryption, password management, and authentication. 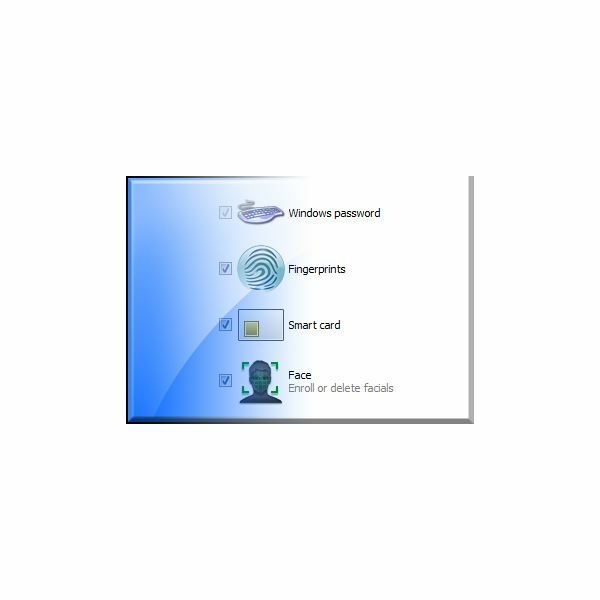 One of the coolest features on this laptop is phone authentication via Bluetooth. When activated, you will be able to log in by having your phone near the laptop. This laptop also comes with a fingerprint reader. Some of the other software that is installed is of more obscure benefit to the end user, but of potential interest to a business. For example, HP’s reps informed me that the Power Assistant software can be centrally managed, if desired, which means power usage can be monitored and power settings can be changed by a central server. That doesn’t mean much to a consumer, but it may interest some IT managers. 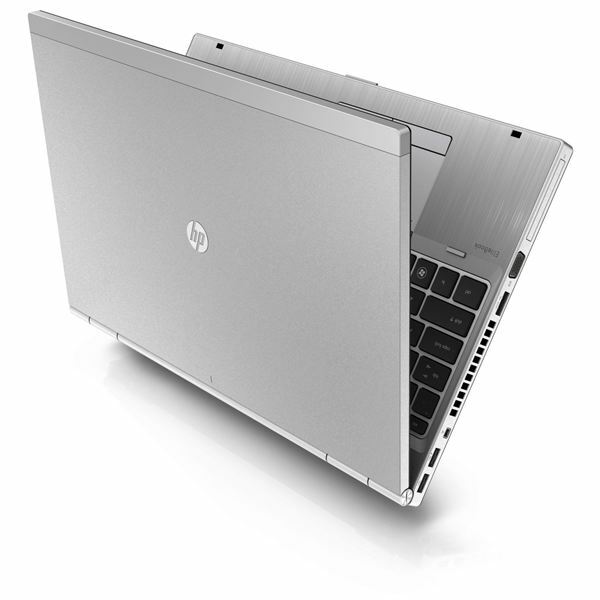 Our EliteBook review unit conformed to the most powerful pre-configured option on HP’s website. This means a Core i7-2620M dual-core processor clocked at a base of 2.7 GHz is paired with a Radeon HD 6470M graphics solution, 4GB of RAM and a 500GB 7200RPM hard drive. These components resulted in a PCMark Vantage score if 8321 as well as a SiSoft Sandra Processor Arithmetic score of 48.21 GOPS (combined). These scores are very good, although they are not particularly remarkable for a laptop for this price. Going with a quad-core processor would greatly improve performance, and that option is available – for more dough. In 3DMark 06, the laptop managed a score of 5378, which is about 1000 higher than what you’d expect from Intel HD 3000 graphics alone and in the same ballpark as Nvidia’s GeForce 520M. However, matched with a display resolution of 1600×900, the Radeon 6470 is generally overpowered in real-world gaming, even in older titles like Far Cry 2. You’ll have to reduce the resolution and detail settings of many games in order to obtain playable framerates, and some modern titles simply are not going to be enjoyable no matter what. Don’t expect to play Battlefield 3, for example. 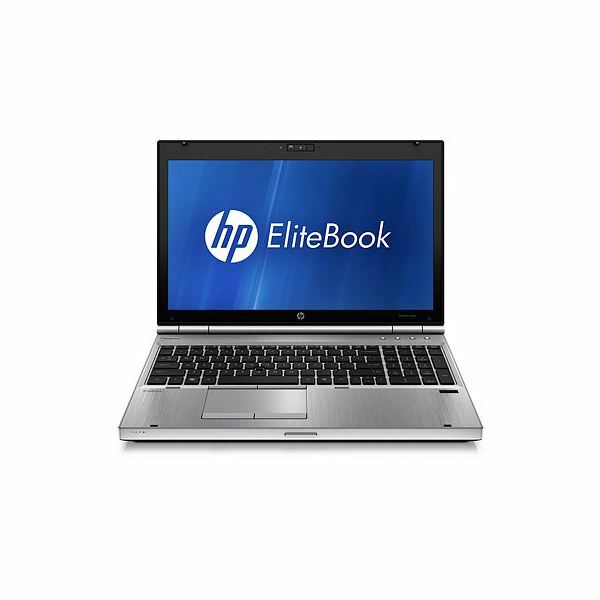 The EliteBook 8560p is an exceptionally well constructed laptop. There are many aspects of its design that are worthy of praise, from the rigid chassis to the large touchpad. Few laptops on the market today offer the combination of features here, and most consumers would find this to be a great desktop replacement laptop. However, at $1529, the price is outside the reach of most buyers. In addition, some will find the performance insufficient for the price, as you can purchase a much more powerful laptop for the same, if you’re willing to sacrifice the enterprise features. Although there is a niche market of consumers who like to buy business laptops for their durability and functional design, there’s a reason why these laptops generally aren’t found on the shelves at Best Buy. Ultimately, it’s a matter of priorities. This laptop is big, luxurious, rigid, full of connectivity, and equipped with useful security software. If you find these traits important, the EliteBook 8560p is not just an excellent choice – it may be the only laptop that makes sense. Otherwise, a less expensive consumer laptop could do you just as well.